For budding writers this magazines can provide advice and inspiration from established authors. It is the essential reading for anyone who is an aspiring writer. Each issue you will discover how the magazine can help you develop your unique writing style. Every month, the editorial teams expert writer provide pages of practical how-to advice, hints and tips, author features, information on what editors and publishers are looking for, writing competitions, and inspirational ideas - everything you could need to make the most of your writing potential. It features articles on magazine and book publishers looking for manuscripts, competition announcements and news from the publishing world. You’ll receive expert advice on how to improve your writing, invaluable tips, entry to cash prize competitions, interviews with leading authors on how they achieved success, up-to date news, upcoming events, and 100s of leads to sell your work...everything you need to know to be a successful writer! If you are a looking at getting into writing, then buy this magazine for Unique Magazines now. Love it .cannot fault it . 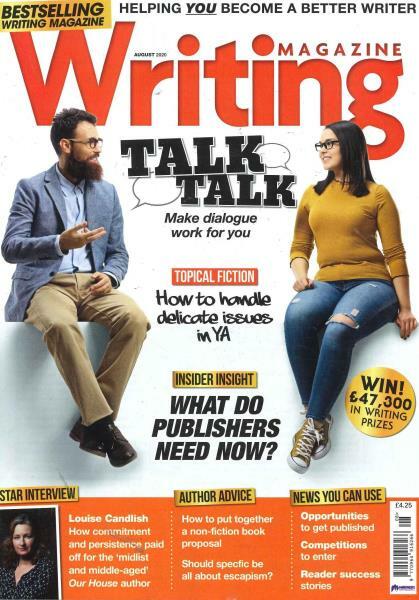 Writing Magazine is the most informative and up to date resource for writers, packed full every month with articles, reviews, interviews, competitions and top tips. Covering a wide range of genres and current topics it is packed full with news, views and publishing advice in the form of tutorials. Incorporating Writers' News aswell this is 2 magazines in 1. If you want to try your hand at writing then a subscription to " Writing Magazine " will help you to get started. This package includes " Writers' News " so you get loads of help and advice on every possible aspect of writing. Not to be missed !